Communicating with your customers when your drivers are on the move can seem like a constant battle. Customers want to know everything about their package but you have to manage so many routes and drivers. The workload can be too much. Simple Route Plan software solves all your problems by ensuring that you monitor everything in our user-friendly, online system. Our email service lets you communicate with your customers through an automated system so that you don't spend time speaking with them and they don't need to worry about contacting you. Our highly developed software locates the most efficient routes to improve your delivery process. Simple Route Plan accurately schedules delivery times, allows live delivery tracking and records all your historic data into our system. The software works across states, in every country and can be used on any routes between different countries. Effective and regular dialog is crucial in any commercial relationship and we at Simple Route Plan appreciate that. We endeavor to speed up the communication process by ensuring that real-time delivery information is available to managers, drivers, and customers. We know that it is essential to keep customers satisfied and informed, and we know that our software will help. 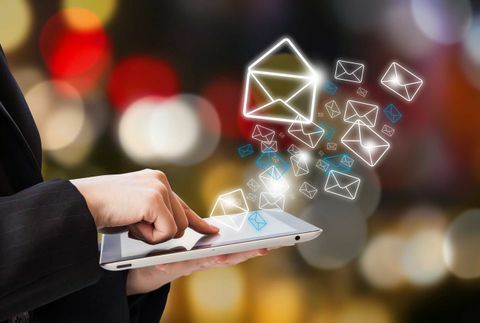 Our email delivery system will automate the communication with the customer, helping improve the speed and lower the cost. You can begin by selecting the 'track delivery in real time' option. Next, you should upload your xls. file will all the essential customer details. You can upload an xls. file with, for example, 500 rows. This file should contain costumer's data in the columns which include: the phone number, name, delivery ID, delivery start time, delivery end time. Customers will receive a message which reads, "Hello. You can track your delivery in real time at the following link. Have a good day.” This is only a template and you can easily customize these messages for your business. As soon as you have selected the template that suits you and your customer, you can begin. Our system will send out the agreed number of emails whenever you decide and at just the click of a button. In customer service, we appreciate that no two clients are the same and individualizing messages can give customers that all-important personal touch. We are creating multiple predefined email template options to customize your email to suit each customer's needs. We will use our email delivery service to inform customers of their delivery on the days before the delivery. Our SMS service will be used for things that happen more urgently within hours of delivery and up to a day. The customer can choose from a range of alternative templates such as a 'Late delivery template', 'You were not home' template, and more. As before, you need to simply upload the xls. file and choose another template, again entirely customizable. In the changing world of business, we know that you need to adapt to survive. We are continuously developing our communication software to offer a user-friendly interface that can message customers with the minimum of hassle through our automated system. Our Simple Route Plan software is engineered to identify the quickest and the most cost-effective delivery routes. We know that every idle van and stationary driver is wasting money. We want to minimize the need for oversight and physical route planning by your fleet managers. Trust our software to improve your efficiency and ensure you do the most with your resources. Our live tracking system is updated every 5 seconds to ensure you have the latest data at all times from your phone or computer screen. The routes are clearly marked with color-coding to identify individual routes with arrows displaying the beginning and end points of the route. From just one route planning platform, you can manage and review routes between cities, countries, and continents. Our simple-to-use interface displays our maps to give you a clear indication of your routes. Our software covers every country and continent to give you a truly global reach. Our extensive delivery route planner software platform allows you to plan routes with minimum effort. You can enter the number of vehicles, depots, weight, and drivers’ schedules to show you the full overview of the driver's routes. Our platform takes care of routes whether they are 1 or 101. When depots have priority delivery, you can add these details into our software so they become first on the route. This will help you efficiently locate essential routes on your daily plan to give priority service to your most important customers. Our system uses advanced algorithms to calculate and process data quickly and easily. All the information that is entered and is reviewed and used in simulations to provide the optimized outcome. This software keeps your company running the most effective routes and ensures it beats its competitors for efficiency and speed every time.